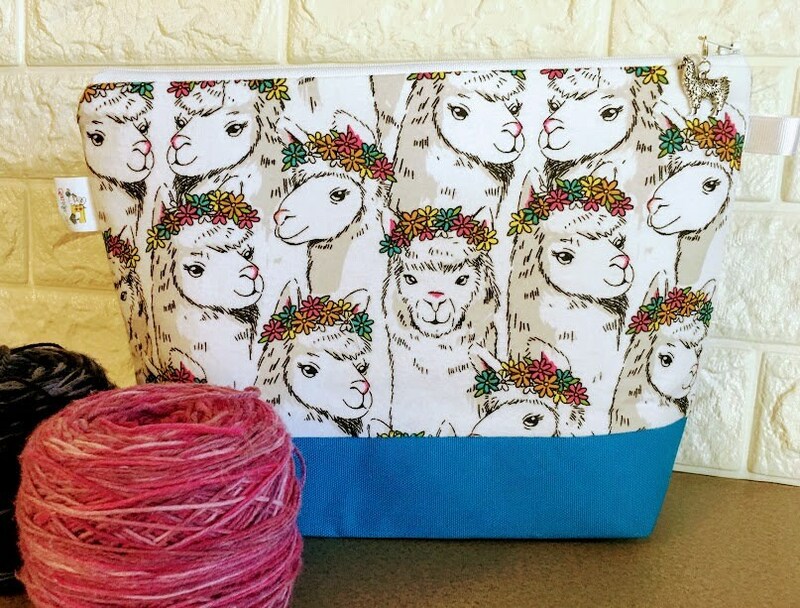 Llamas themed knitting project bag. 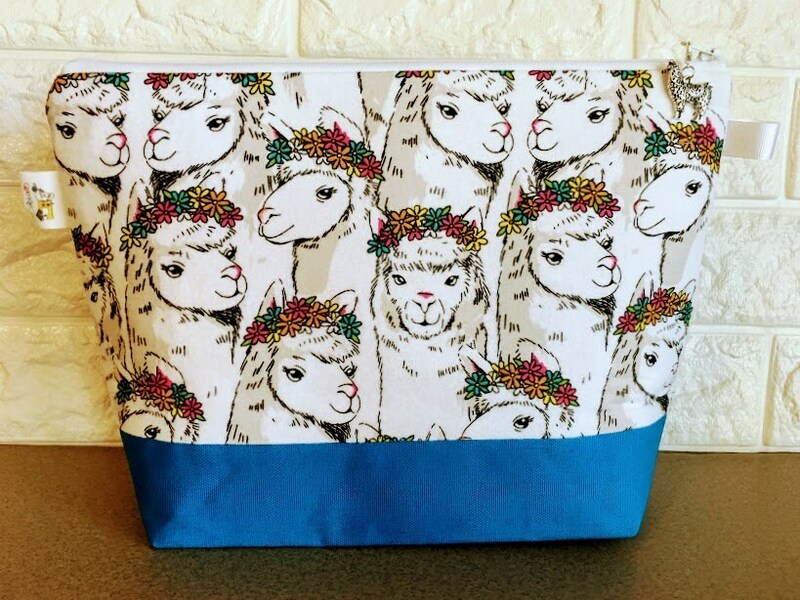 Beautiful project bag. Well made and quite roomy. Super cute bag and bigger than I expected. Can fit up to 4 skeins of yarn caked! Fast shipping! 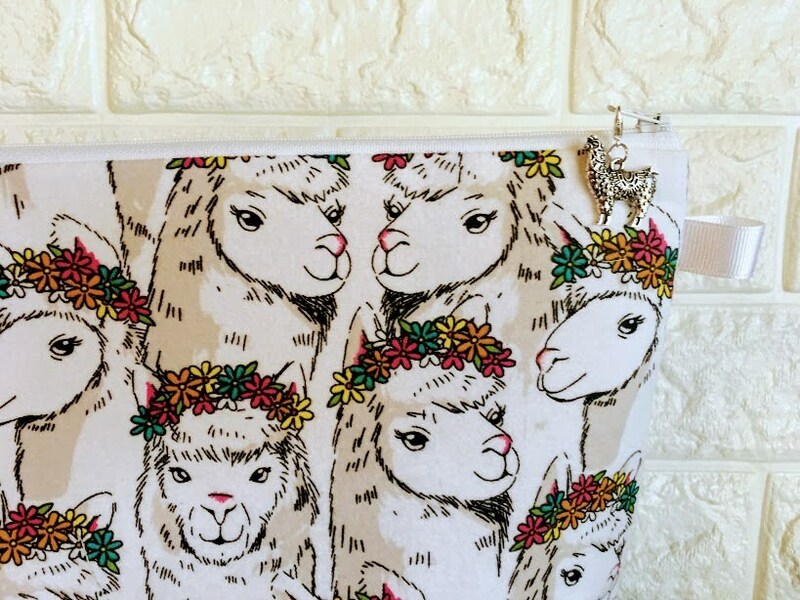 Lovely bag, adorable matching llama stitch marker/zipper pull. I bought 2 bags and forgot to ship the 2nd separately (it was a gift that needed to go to another state), and the seller very kindly shipped it separately for me after the fact. Very responsive, polite, and helpful. Thank you! Love this bag. 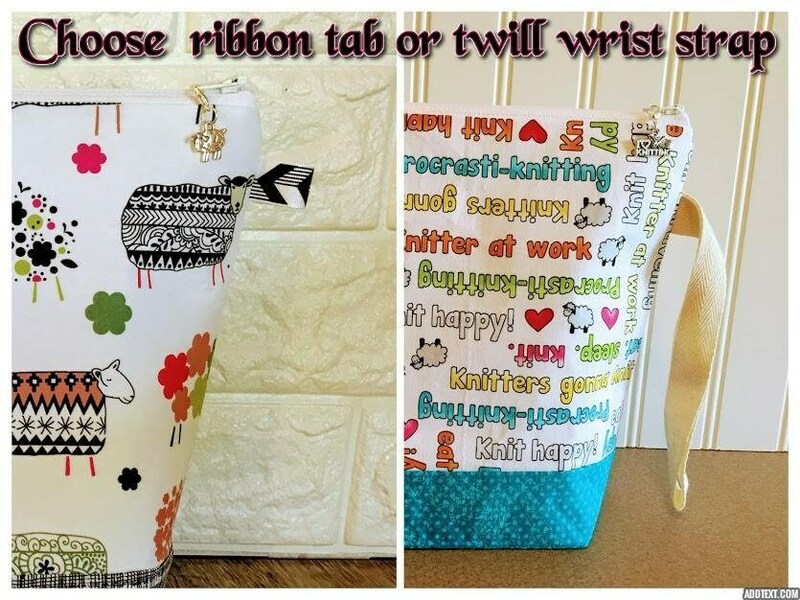 It's well made, the fabrics are adorable. 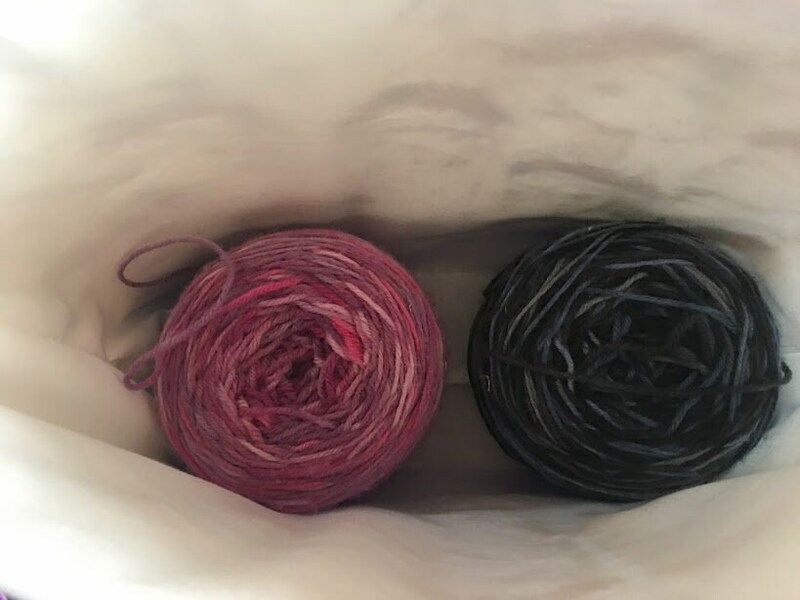 It has just the right amount of batting, which I prefer in my project bags.